I drove up to Jacksonville this passed weekend to visit some good friends and while I was there I had only one thing on my itinerary, visit Maple Street Biscuit Company. I had seen a picture of their delicious biscuit sandwich on Instagram and I knew I had to get my hands on one. So once up in Jacksonville I dragged all five of my friends half way across town to try this place out. 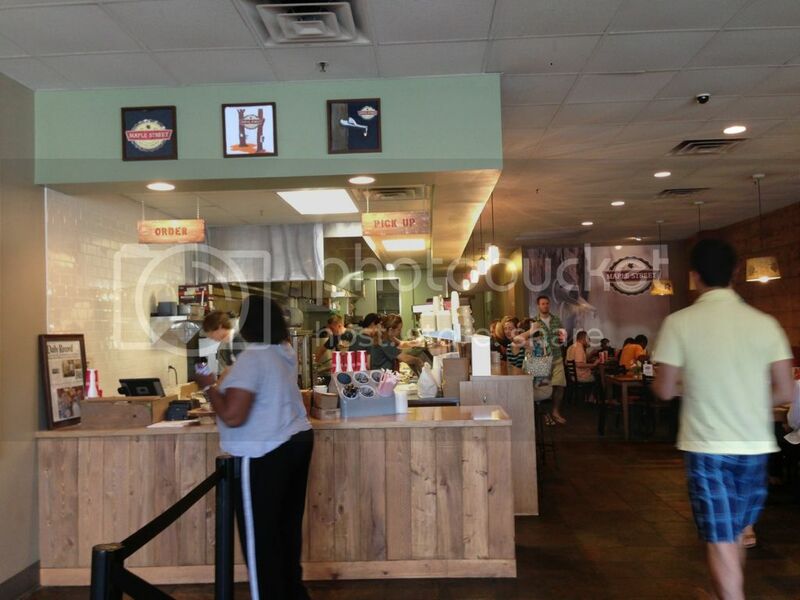 The restaurant itself is casual with counter service and a self serve drink station. The service was quick and extremely friendly. Three of my friends got the same exact dish, The Five. 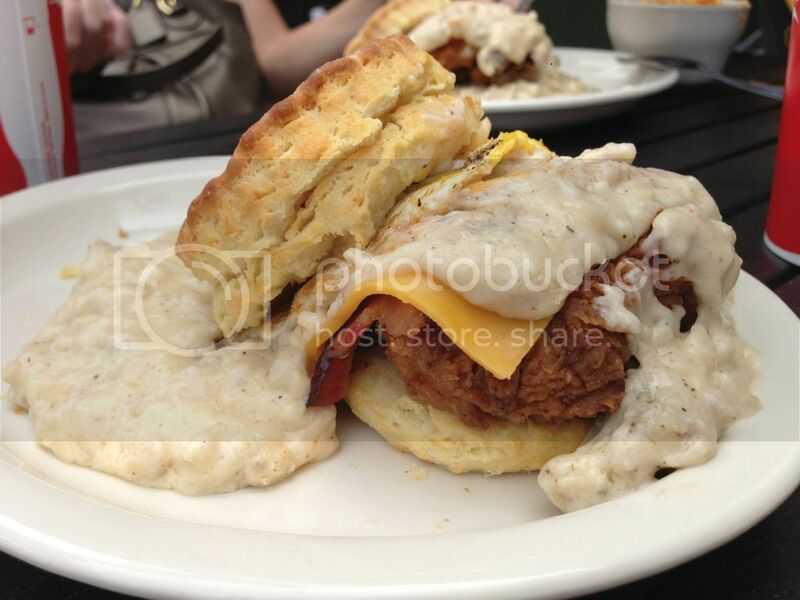 The Five consists of fried chicken, pecan wood smoked bacon, cheddar cheese and sausage gravy all in a home made biscuit. 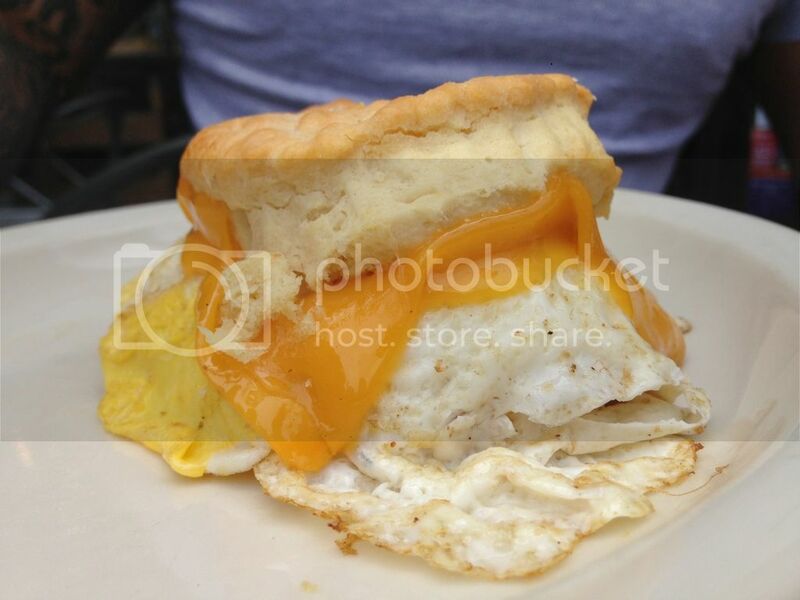 If that's not enough, you can also add a fried egg to your biscuit sammy (this variation is called The Five and Dime). This biscuit “sandwich” was absolutely delicious and definitely requires a fork and knife to eat, unless you're a big baby. 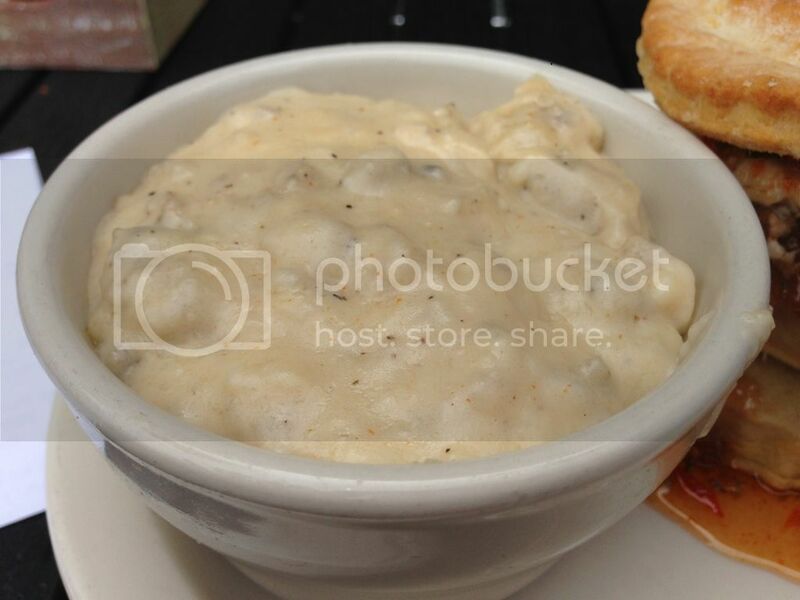 The best part was their sausage gravy, it was creamy with tons of sausage chunks and had a nice spicy kick. The gravy was so good I ended up buying a whole bowl of it. One of my friends got a simple egg and cheese biscuit sandwich. Although I didn't get to taste it, this sangwish looked like the perfect breakfast. I decided to get something a little bit different and I went with their Squaking Goat sandwich. 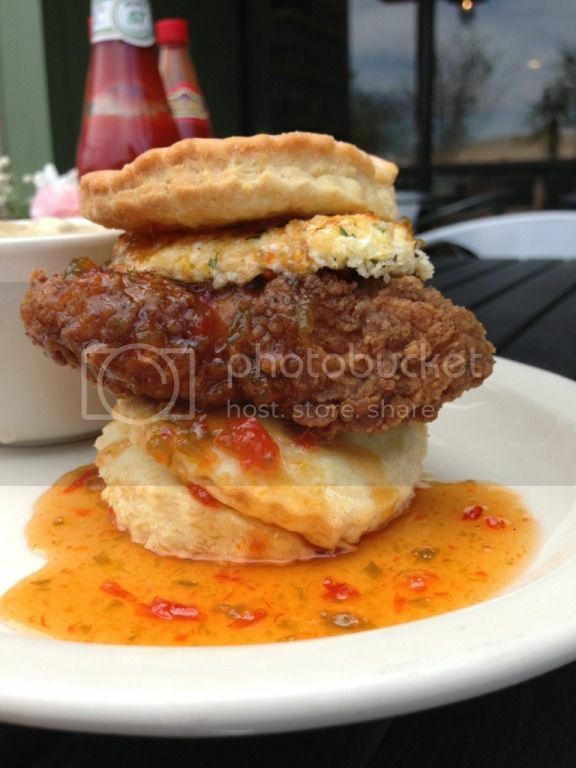 It consists of a slab of fried goat cheese, fried chicken breast and pepper jelly. Although I would've preferred Copperpots jalapeño jam, this sandwich was delicious. The goat cheese and pepper jelly were a perfect compliment to the crispy chicken. 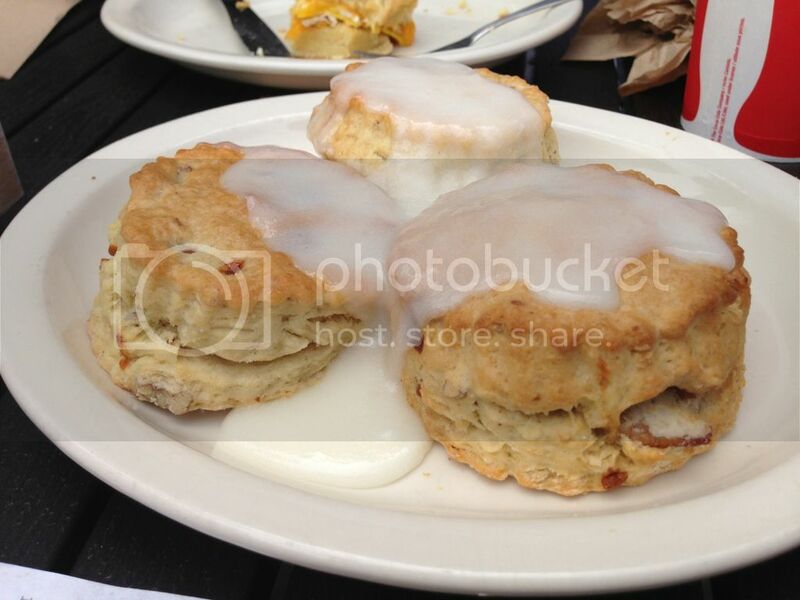 The biscuits were light, fluffy and buttery all at once. I saw they had mac and cheese on the menu and I had to try it. I had to. Their Smokey Mountain Mac N Cheese was heaven and ingenious all in one. 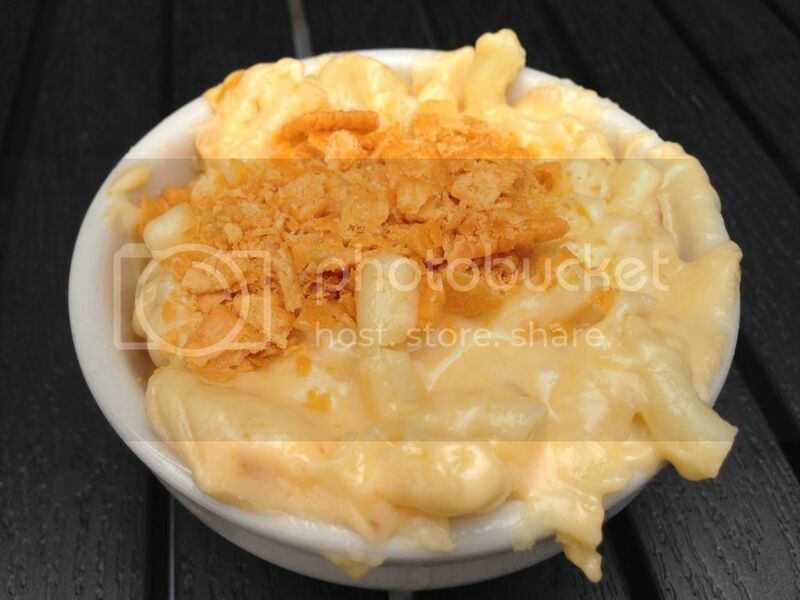 They topped their creamy mac and cheese with crushed Cheez-it crackers. The Cheez-it crackers were a stroke of sheer genius that I know I'll be using the next time I make mac and cheese. It was perfectly seasoned and addictive, so addictive that I almost stabbed my best friend for sneaking spoonfuls when I wasn't looking. Definitely a must get for anyone that goes to this place. 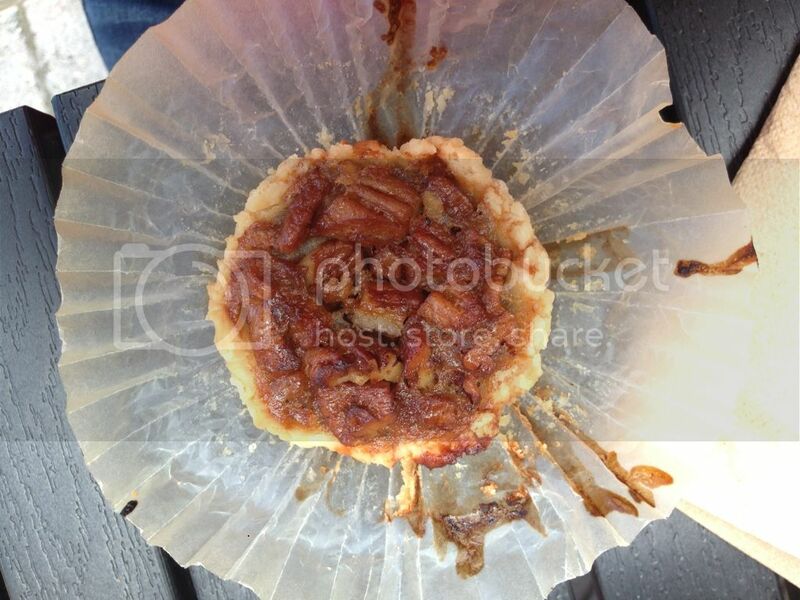 We also ended up with a couple of desserts, I bought Robyn's Housemade Pecan Pie which was great. 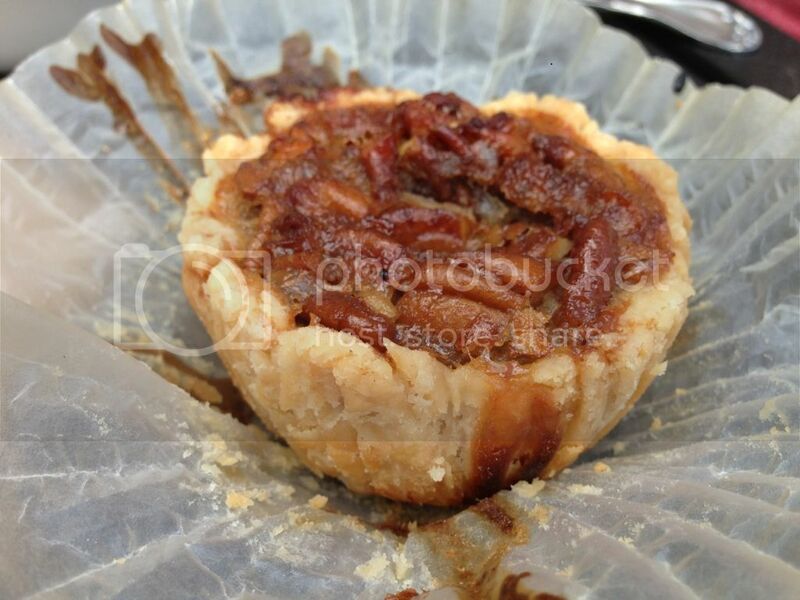 It comes in a cupcake wrapper and has a flaky crust, the perfect serving size too. We also got a few of their Iced Cinnamon Pecan Biscuits. These guys were also really tasty, but a little bit on the dry side for me. This place was delicious and I know I'll be dragging my friends back here next time I head to Jacksonville. The best part was how affordable everything was. 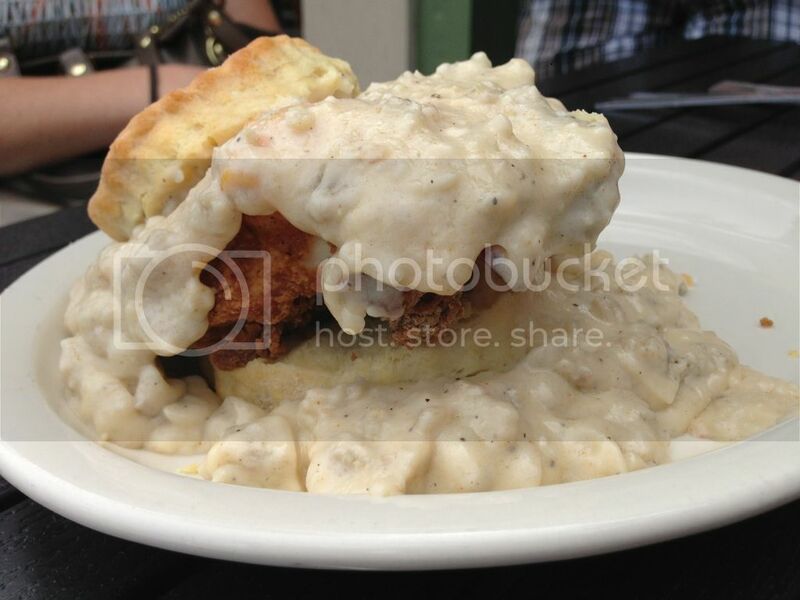 Their biscuit sandwiches vary from $3.50 to $8. The mac and cheese costs $4.00 and the pecan pie costs $3.00. As I mentioned before, the service was also a highlight. Everyone was really friendly and very accommodating; if you're ever in Jacksonville be sure to check this place out! This post is KILLING ME!!! Thanks for the rec. Went here this weekend while I was visiting my college roomate. We loved it!